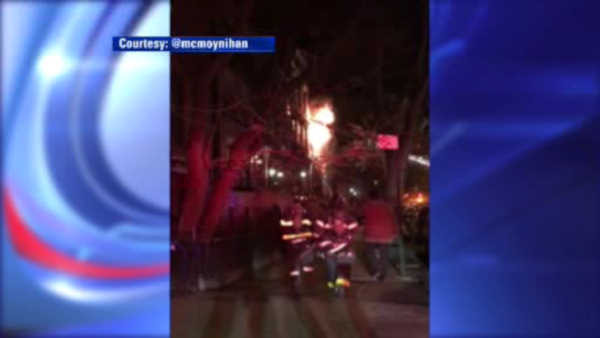 FORT GREENE, Brooklyn (WABC) -- Firefighters were battling the bitter cold while tackling a fire in Brooklyn on Sunday night. Flames broke out around 7 p.m. on the first two floors of a brownstone in Fort Greene. 100 firefighters responded to the scene. They pulled residents to safety through the front widows.